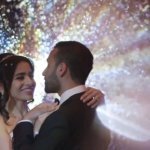 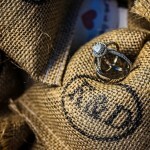 Positive publicity is always a good thing, and our videography, cinematography and photobooth experts here at SDE Weddings know that all too well. 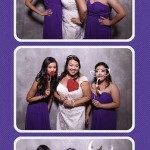 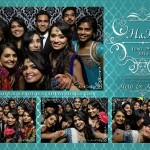 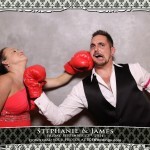 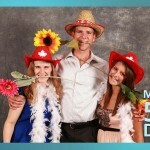 It’s certainly endearing to have people who experienced our photobooth service for the first time be so entertained that they find themselves drawn back for more. 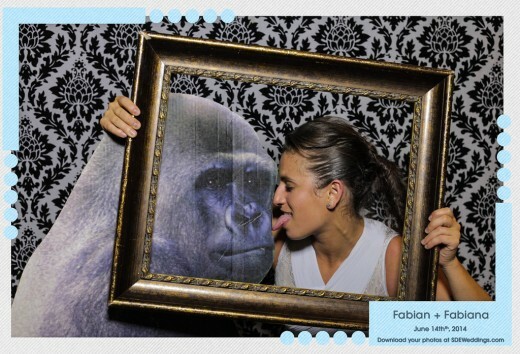 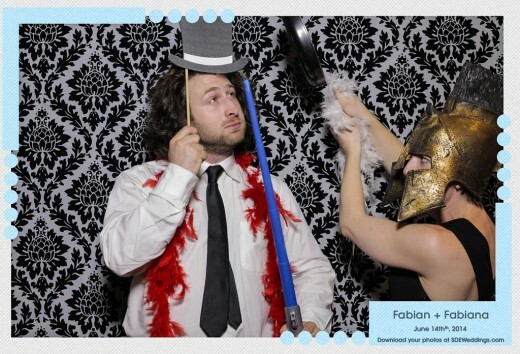 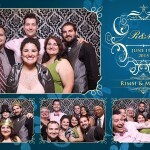 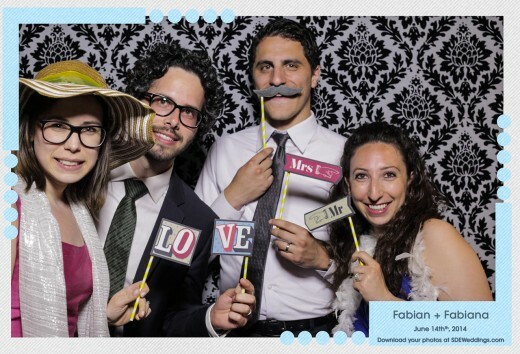 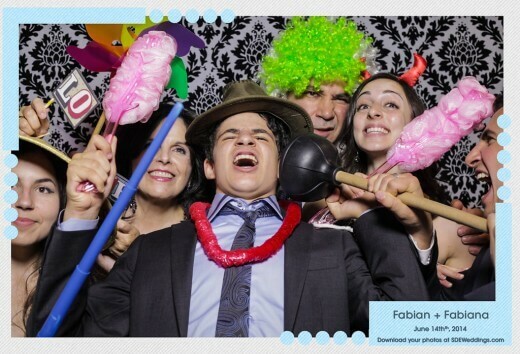 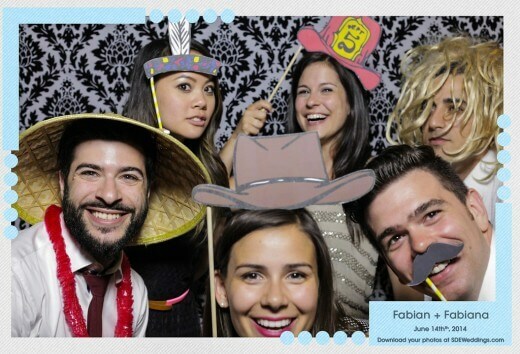 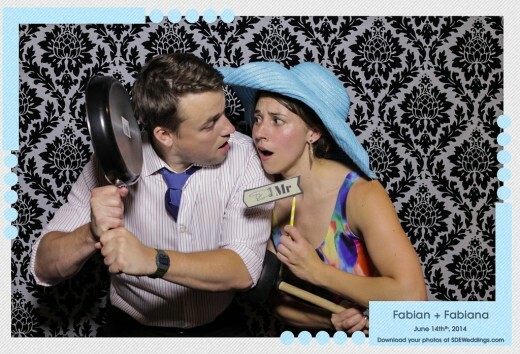 This was the case with Fabian and Fabiana, an interesting couple beyond their matching names alone, who told us that they had such a wonderful time with the photobooth we had set up for their friends’ earlier wedding last month that they absolutely needed us for their own, and had to have us booked for their event weeks in advance. 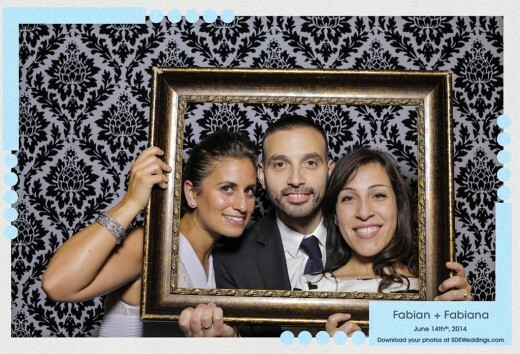 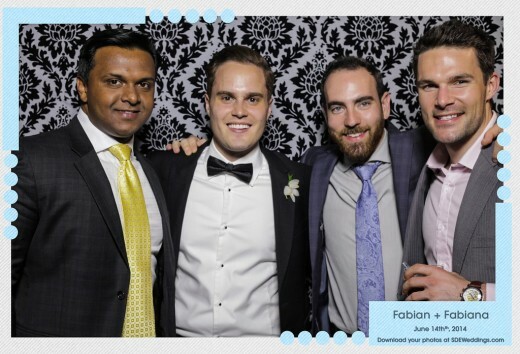 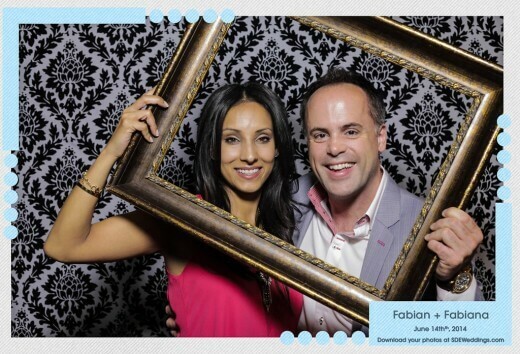 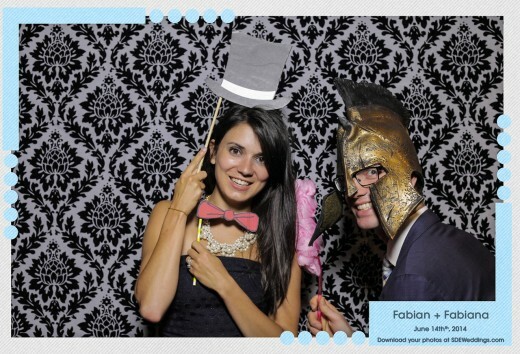 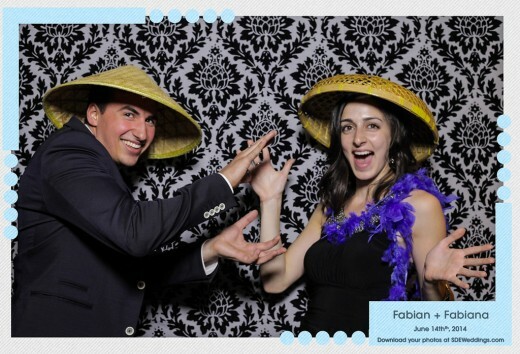 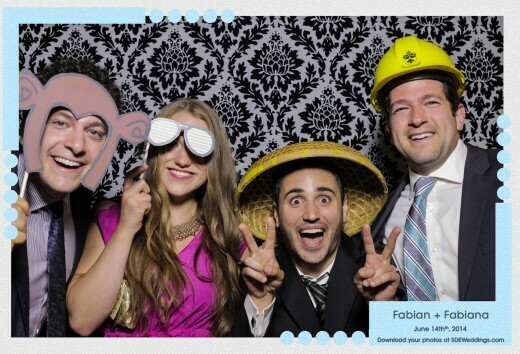 Fabian and Fabiana’s formal festivities were held on June 15th, 2014 at the exclusive Arcadian Court on Bay & Queen, a historically high class Art-Deco themed loft and one of the most sought-after event locations in downtown Toronto. 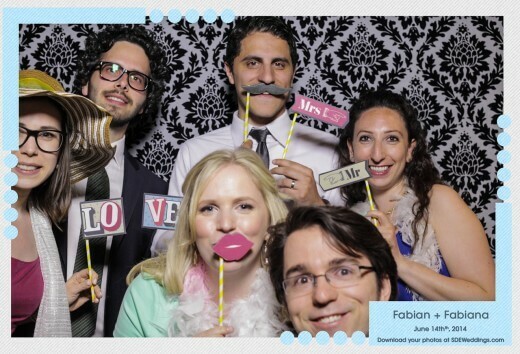 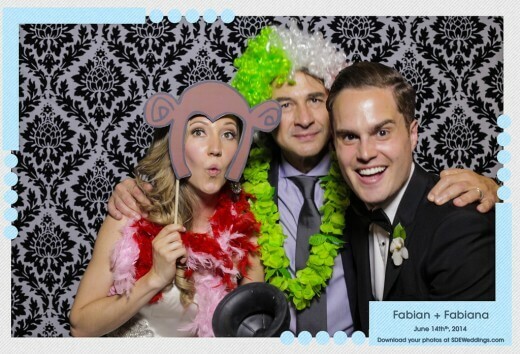 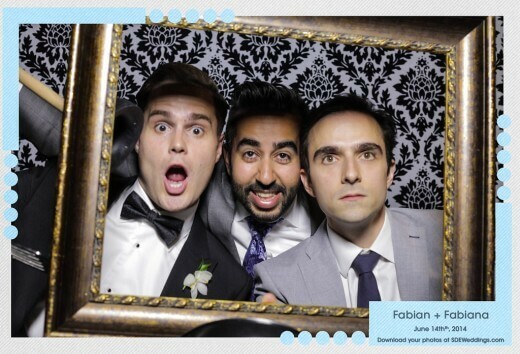 As for our work with the newlywed couple, we were still stocked and supplied for snapshots till well beyond 2 in the morning, so it’s no surprise that everyone loved the photobooth experience as much as Fabian and Fabiana did the first time. 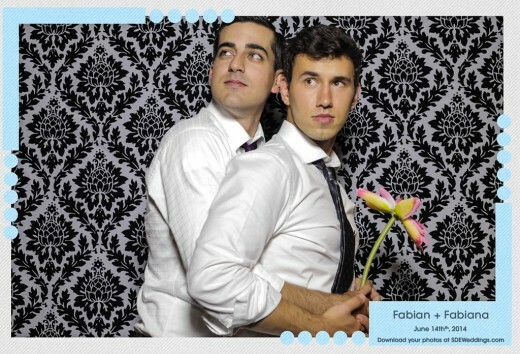 Feel free to have a preview of all of the high-life hijinks with some of our more outrageous printouts below.